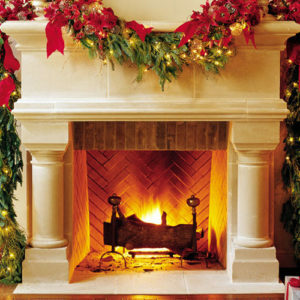 The lovely Stoneleigh fireplace surround distinctively blends traditional flares with classic styles. Sweeping top shelf molding boasts Celtic style architecture as one of its primary captivating features. The mix of lion’s paw columns and intricately detailed carvings make it a unique addition that’s sure to spark conversation and become the preferred gathering area for any room. 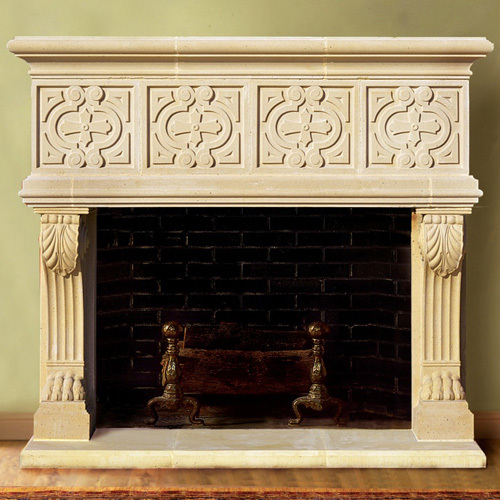 Our defect-free warranty meant you can buy this quality manmade limestone mantel with confidence. Note: we are often able to alter our mantels, so long as they retain the integrity of their original design.